The dexim DWP005 Premium MHub Dock Station appears to have it all: three USB hubs; an SD/SD-HC card slot; an iPhone dock (works with iPhone 4 too); its own power. The AC adaptor even has a USB adaptor on it, so you can use it for charging your devices without using the MHub. You also get a micro USB cable and a mini USB cable, so you shouldn't have any issues plugging anything in. It took me a little while of confusion and a few Google searches to discover that the iPhone dock on the MHub will not reach far enough into the iPhone's recesses if the iPhone is sporting a protective bumper. The MHub's iPhone dock is just too short, so you need to prise off your bumper every time you want to dock the iPhone. Doing so does make you realise how much crud can creep its way under the bumper, so you can take the opportunity to give your phone a more thorough clean than just wiping the screen with your sleeve. Once the iPhone is properly docked, it is business as usual and it will fire up iTunes on your Windows PC or Mac / Macbook / Macbook Air. 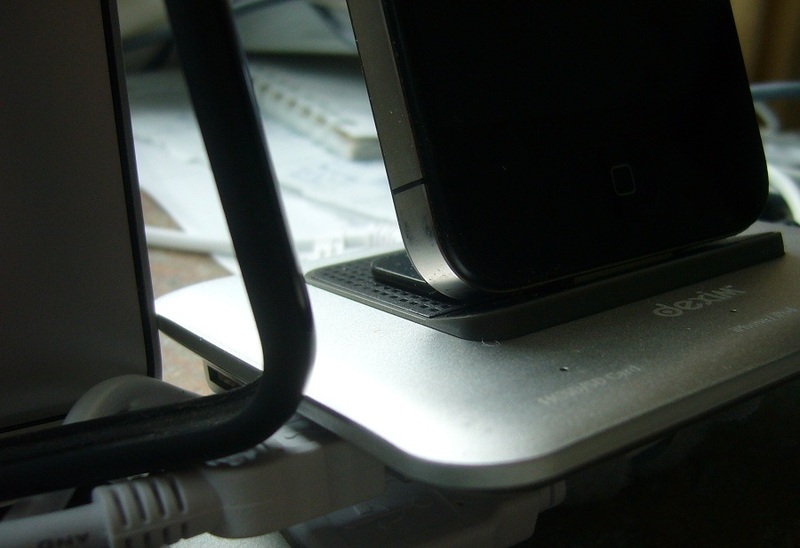 As for the SD card slot, you may occasionally find that the USB connection (from the MHub to your computer) needs to be removed and plugged back in before the SD card is recognised as a mass storage device on your computer. The SD slot itself is also just a simple slot; there is no 'clicky' action, so you have to rely on pushing the SD card in until it stops and the LED lights up on the MHub. Overall build quality of the dexim MHub is satisfactory. It is quite a lightweight unit, and can get dragged around by the various cables plugged into it. It is all-plastic construction, and could probably do with a bit of artificial weight to anchor it to the desk. If you need a simple powered USB hub then this unit may be a bit over-kill, despite its competitive price. If you would really appreciate an iPhone dock or an SD slot, then this is definitely the one for you!